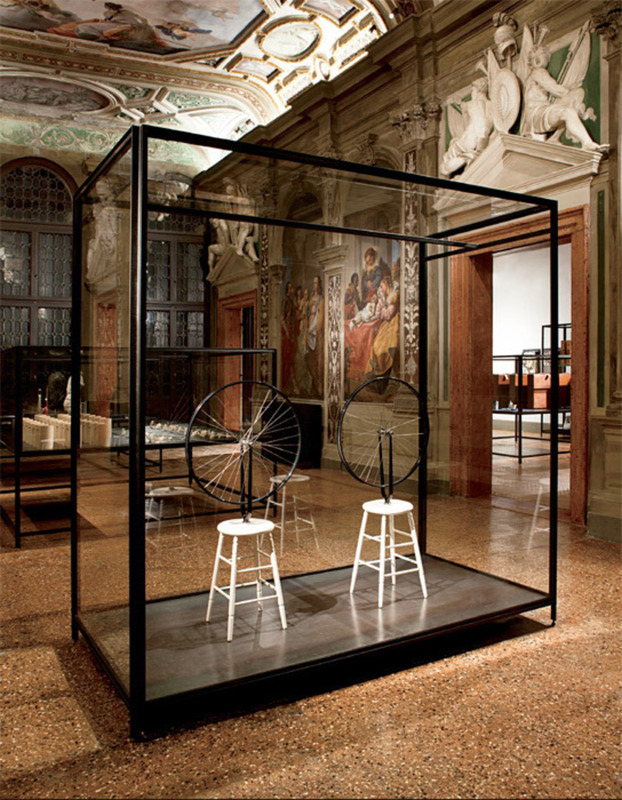 View of “The Small Utopia: Ars Multiplicata,” Fondazione Prada, Ca’ Corner della Regina, Venice. Foreground: Multiples of Marcel Duchamp’s Roue de Bicyclette (Bicycle Wheel), 1913/1964. Photo: Attilio Maranzano. 1 “The Small Utopia: Ars Multiplicata” (Fondazione Prada, Venice; curated by Germano Celant) This exceptionally rich exploration of the art of multiplicationfrom Sonia Delaunay to Marcel Duchamp to Yoko Ono, and with more than six hundred worksheld my attention and that of my easily bored friends for hours. The disappearance of the auratic original does not make fetishistic obsession obsolete. On the contrary: Some of these multiples are to kill for!